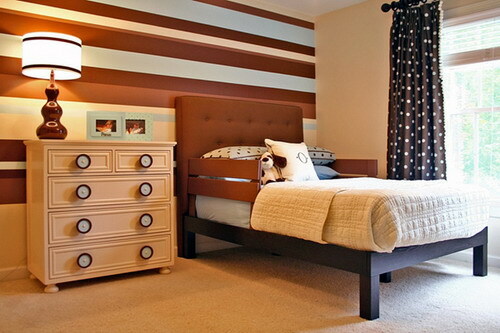 Home »Unlabelled » Stripes ... an effective decor's. 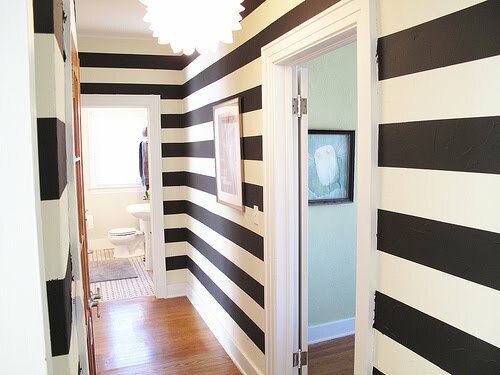 Stripes ... an effective decor's. 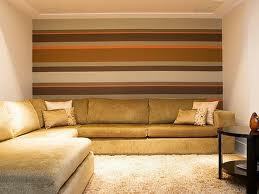 Colorful stripes.. an effective, decent and simple way to color your interior's and make them special. 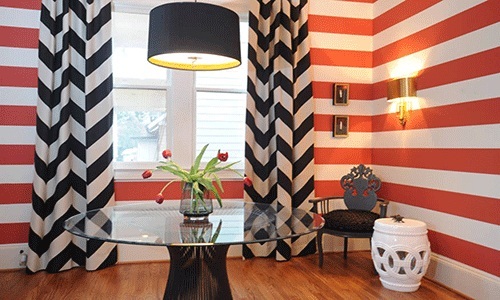 Blend in the beauty of stripes with different colors.. or with the shades and tints of same color. 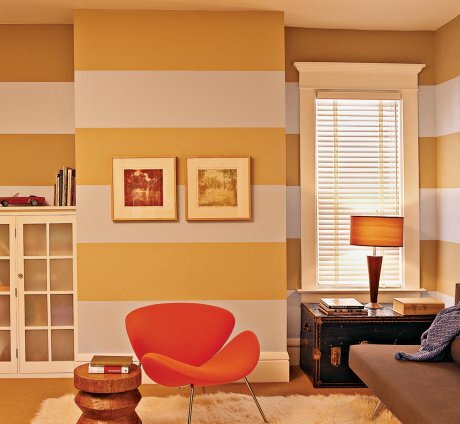 Horizontal and vertical stripes has their own expressive qualities. Use them to make your place a better one to live in or to work in. 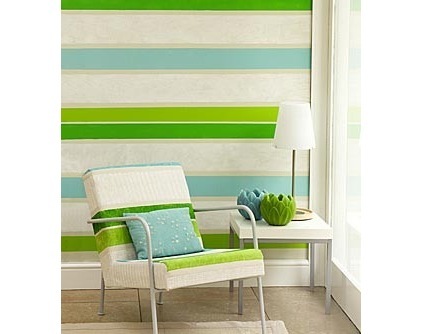 Broad stripes.. convey sense of holding and its coverage area is wide..so its to be used in for informal rooms. Horizontal stripes conveys the message of relaxation and laziness. 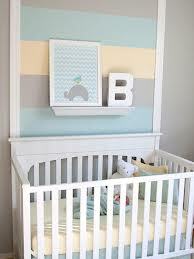 Lacking .. with design idea's or getting confused with texture varieties.. get on to the stripes idea and decor's. They are worth it. 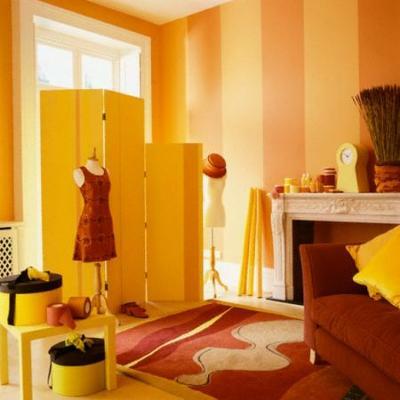 Where as, vertical stripes and narrow stripes gives in the message of formal looks, has the strength to stand and best suited at the places like offices , work places etc. 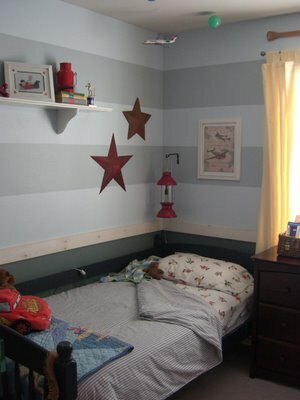 Gather the brightness and effects of stripes for unmatched and adorable interior's. Move a bit ahead ..and try it for your rooms, places and spaces. A design which is ever green as well as... fresh.